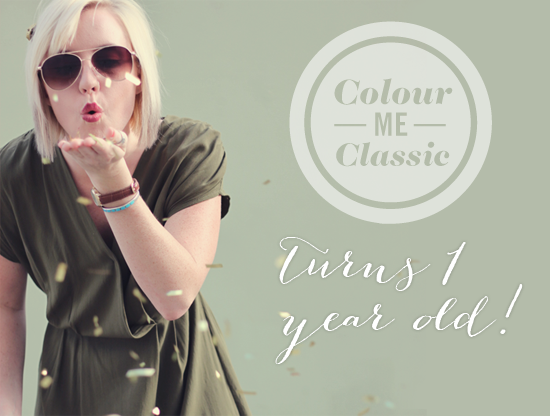 As I mentioned in my last post, Colour Me Classic is now one year old! It’s pretty exciting to commit to something and see it thru on a weekly basis for a full year. When I started up CMC, I lived alone in a new city and didn’t know many people. My boyfriend and I had opposite work schedules so I had a lot of time to myself. I felt a creative void in my life that often times could not be satisfied with my full time design job alone. It was through this place I could let my creativity run free. It’s a real luxury to have a venue to express yourself creatively. And not to mention, out of the 800 comments you guys left this year, not one was rude or criticizing and for that I thank you! Of course, there are times where you don’t feel like writing anything and then there are days where you pour your heart out into a post. 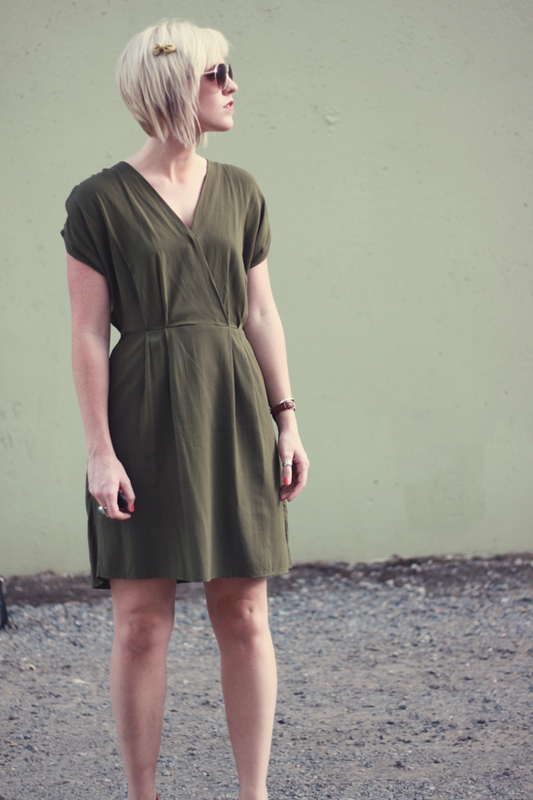 It’s funny how much work and time goes into making an outfit post. You’ve got to plan an outfit, scout a location, find someone to photograph you (most of the time it’s just my trusty tripod), edit the photos, write the post, promote the post on social media platforms and stay active in the blogging community. I’m not trying to brag but rather to recognize the work that myself and many other bloggers put into creating original content. It’s no easy task and not for the faint of heart. If you run a blog reach your left arm over your right shoulder and give yourself a nice pat on the back—better yet give yourself a great big bear hug. I’ve had the pleasure of designing the following blogs and logos this year: The Lipstick Giraffe, Babe-Sicle, Haley Corina Designs, Everythings a thing, Chic Street Style and Where is Kait. A huge shout out goes to my friend Slavic who coded all these sites for us, he’s a real gem. Whenever I wanted to do some crazy over the moon design element, he was always there to figure it out and wouldn’t stop until it was done right. Congrats, girl! It’s been so fun to have followed you over the past year! Love your spec of cyber space! 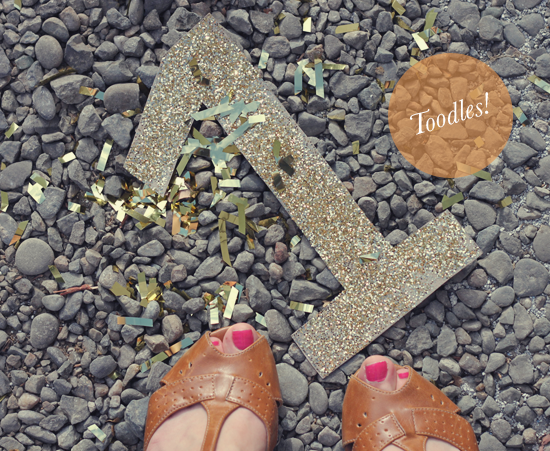 ooo a blog re-design, how exciting! and what’s even more exciting is your one year mark!!! WOOOO CONGRATS!! i love the cute pictures you took in honor of it- you’re so adorable! Congratulations! Can’t for the next exciting year to come! Yeah, girl! Great post, I love what you wrote. 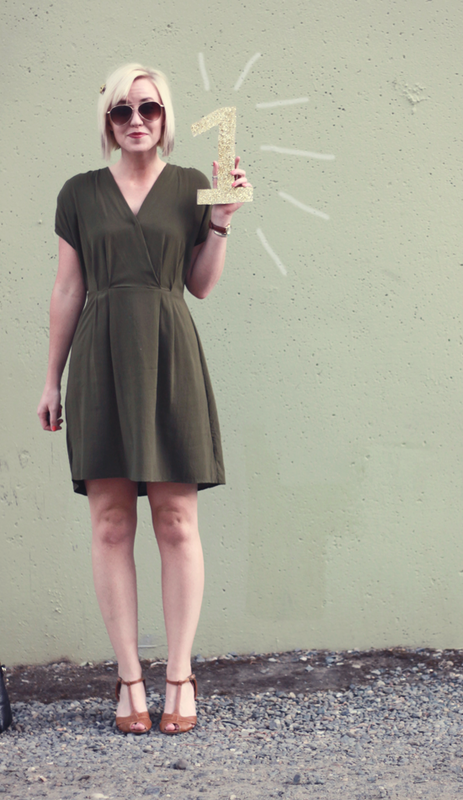 Congratulations on your 1 year and on continuously seeking out creativity within yourself! So glad I met you last year! !